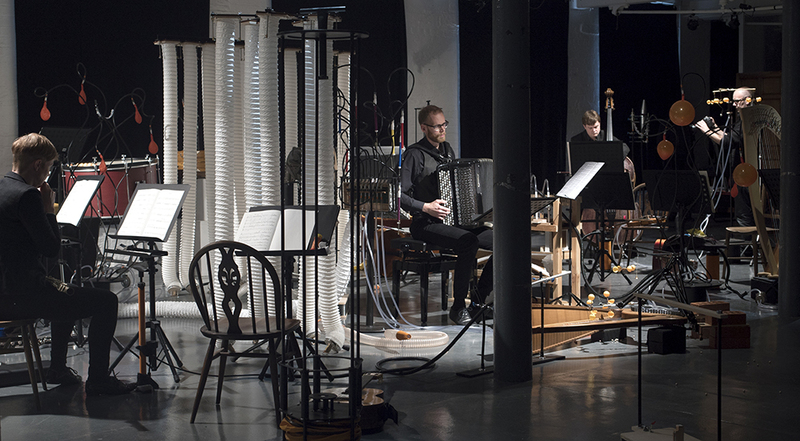 AEOLIAN, a collaboration with composer Maja Ratkje was premiered on the opening night of Huddersfield Contemporary Music Festival. 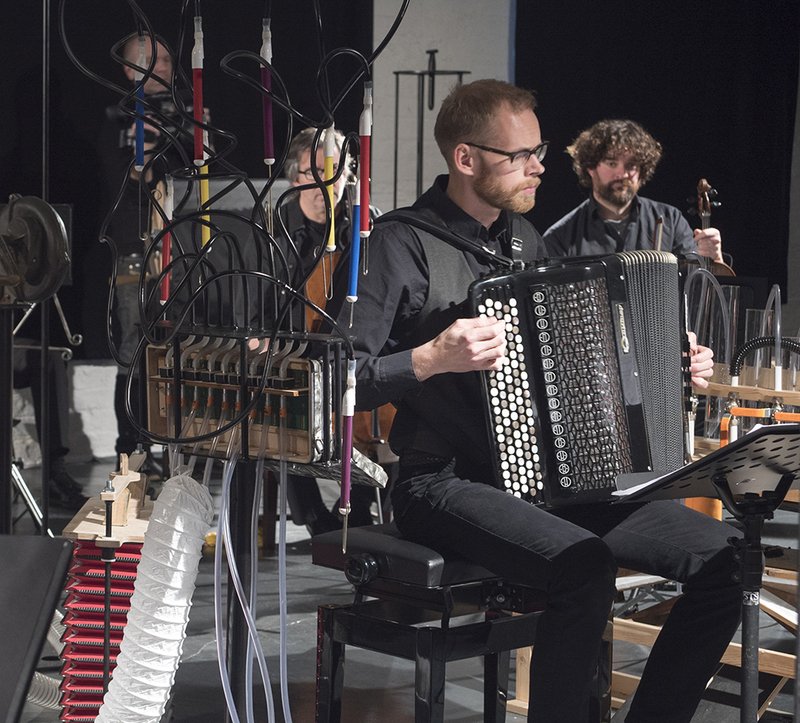 We transformed Bates Mill photographic studio into a world of air-based instruments to be performed live by accordion soloist Andreas Borregaard and the Red Note Ensemble. The audience were appreciative and seemed to enjoy the playful nature of the work alongside its delicate fragility. Some extracts from the great review on 5against4 blog, read the full article here. 20 November, 2017 | Filed under News and tagged with aeolian, audio-visual, Bath Festival, collaboration, installation, music, sound-machine, wind.